This is my Best Movies of 2013 list. There are still quite a few movies that I haven’t gotten around to seeing yet, so no yelling about your favorite film being excluded if it appears on the haven’t seen yet list at the bottom*. If it didn’t make either of those lists, then have at it with the internet yelling. 2. 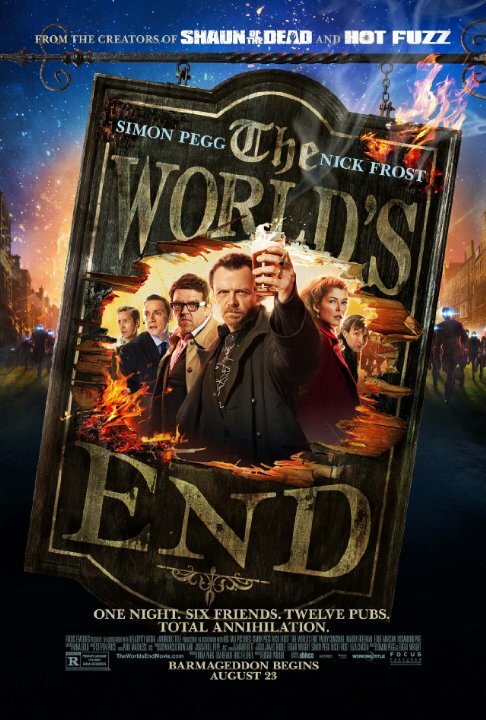 The World’s End – The final entry into the Cornetto trilogy was probably my least favorite of the three, but that doesn’t mean it still wasn’t better than 98% of the movies released in theaters this year. Long time collaborators Edgar Wright, Simon Pegg and Nick Frost assembled an interesting sci-fi foray into the nostalgic man-child who refuses to grow up catalog, sprinkling in some strangely poignant moments amongst the drunken debauchery. Although still being relegated to a bit of a supporting role, this is really Nick Frost’s movie to shine and shine he does. Occupying the straight/serious guy role this time out, by the latter half of the film Frost has transformed into a hilarious inebriated dynamo. Hats off to him. Also, as with all their movies, this script only seems to get better with every subsequent viewing. 4. 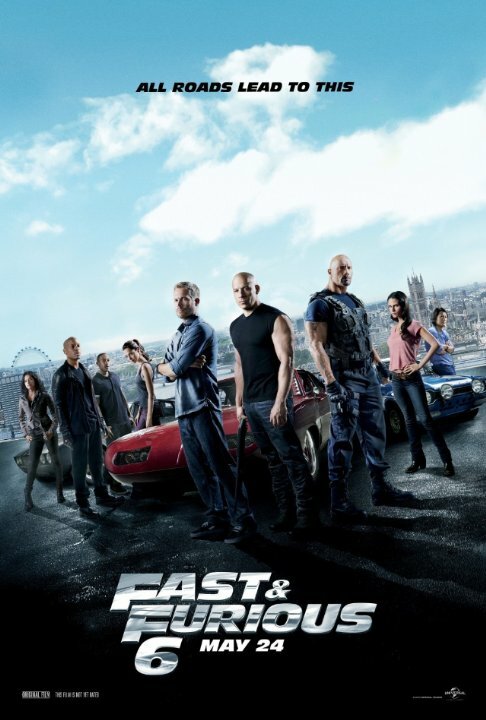 Fast & Furious Six – Fast Six was a lot of fun. Sure, this movie and franchise are dumb as they come, but what it lacks in brains, logic and basic understanding of physics, it makes up for in sheer mindless spectacle and absurdly long runway finale sequences (tip of the hat for including Joe Taslim from ‘The Raid’ in the cast, too). Although, it is very eerie to go back now and watch the copious amounts of reckless driving after Paul Walker’s passing, the film is still a testament to how far he came as an actor, starting off as a by the books California-cool Johnny Lawrence knockoff and working until he became a linchpin of one of the most financially successful franchises of all time. And by all accounts, it sounds like he was a pretty good dude off camera, too. RIP, sir. 5. 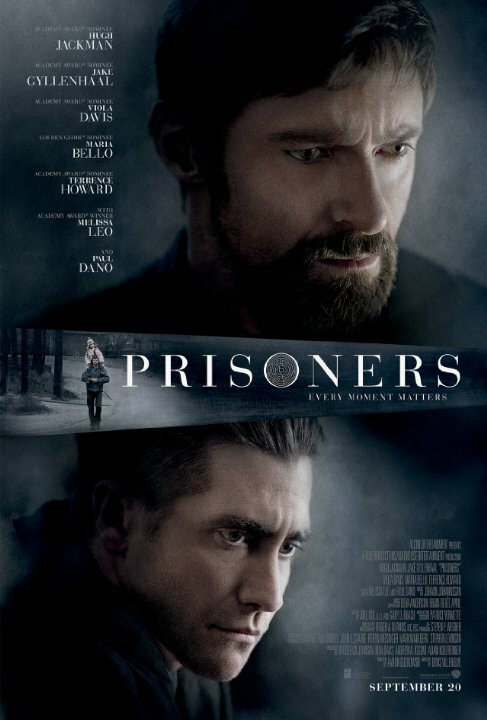 Prisoners – It’s a shame that Hugh Jackman saved his most intense (and best) performance of the year for this movie and not for the second iteration of Wolverine, but all the same, Denis Villeneuve’s neo-noir kidnapping drama would not be anywhere near as effective if Jackman had phoned it in. Instead, he turned in something that approaches a Daniel Day Lewis is scaring the caterers type of performance, especially in a scene where Jackman uses a hammer as an interrogation tool in a dilapidated bathroom. Credit to Jake Gyllenhaal for mixing it up and giving a different performance than what we’re used to from him, too. His twitchy/sketchy detective was a nice change of pace for him. Overall, ‘Prisoners’ rounds out as a moody ‘Zodiac’ meets ‘The Girl with the Dragon Tattoo’ meets ‘Mystic River’ type thriller that deserves to be seen. 6. 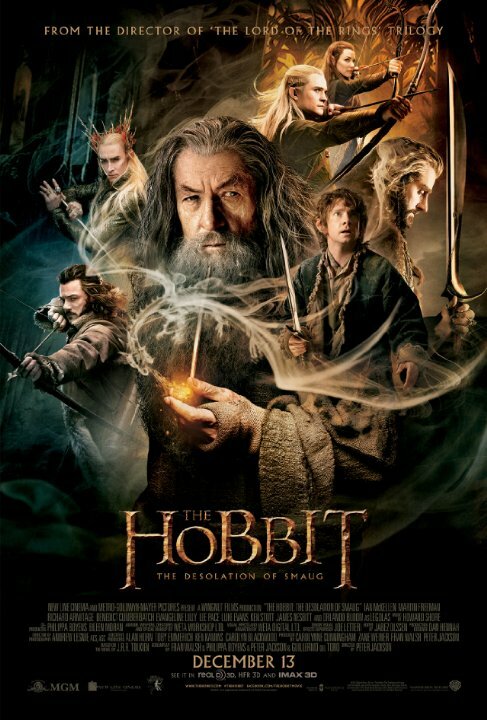 The Hobbit: The Desolation of Smaug – Sure, it had its problems. It was forty five minutes too long, still was a little bit sloppy at the corners, had Kate from ‘Lost’ creating unnecessary love triangles and the narrative stitching continued to be more of a patchwork amalgamation of appendices, creative liberties and scattered source material, but I’m biased and there was a dragon in it. So, leave me alone. Positives? 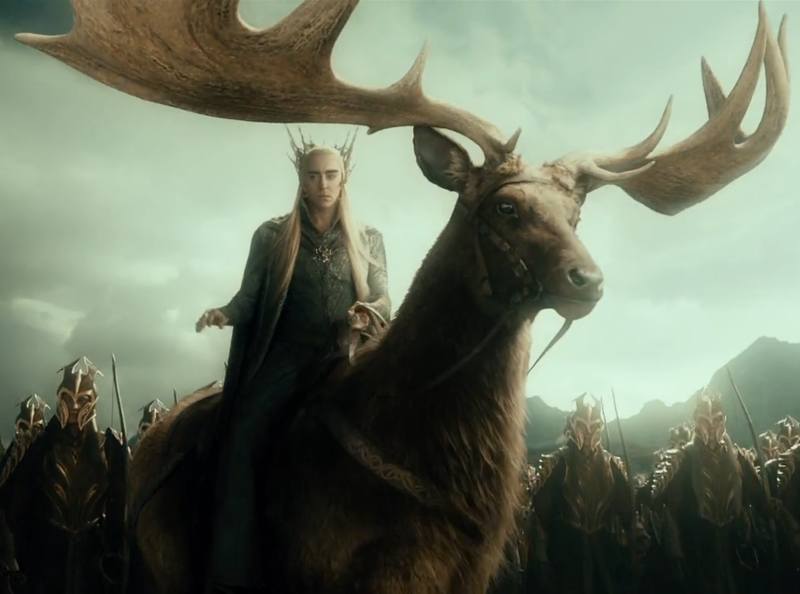 The barrels in the river sequence was worth the price of admission, Martin Freeman continued to be quietly underrated, Legolas was back, Lee Pace did more than glare creepily from majestic looking reindeer steeds and there was tons of Benedict Cumberbatch dragon voice. So, you know, it could be a lot worse. 7. Wolf Children – I haven’t seen ‘Frozen’ or ‘Monsters University’, but I feel confident saying ‘Wolf Children’ is the best animated movie of the year. Having said that, I would warn that it is not a movie for everyone. It looks a bit weird at first glance and admittedly, it is a bit weird. There is some content early on that would probably turn people off and produce some eye rolling ‘Twilight’ comparisons, which is really a shame because if you can get past some of the allegorical oddities of the first twenty minutes, you’ll see something special. A poignant, quiet story essentially about parenting (albeit in hyperbolic circumstances) and the sacrifices and concessions parents have to make to raise their kids. Again, I’m not sure Americans would take to this film on a large scale (although with the exception of maybe one scene, there isn’t anything above or beyond what you would see in the annual stateside Studio Ghibli release, so who knows?) since there are some elements which probably resonate better with Japanese culture, but the messages are heartfelt and universal at the core. ‘Wolf Children’ sneaks up on you and is a sort of mini-masterpiece by the time the credits role. 8. Cutie and the Boxer/Blackfish/56 Up/ – I always leave a slot open for documentaries, so why not throw these three in here together? The first is about the relationship of a husband/wife artist combo, the second profiles killer whales in confinement and the last is just a simple seven year checkup on a group of English men and women. 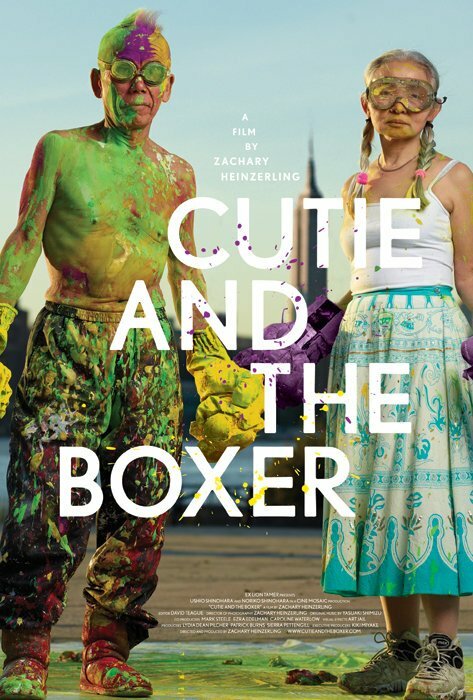 ‘Cutie and the Boxer’ examines Ushio and Noriko, two relatively well-known Japanese-American artists. 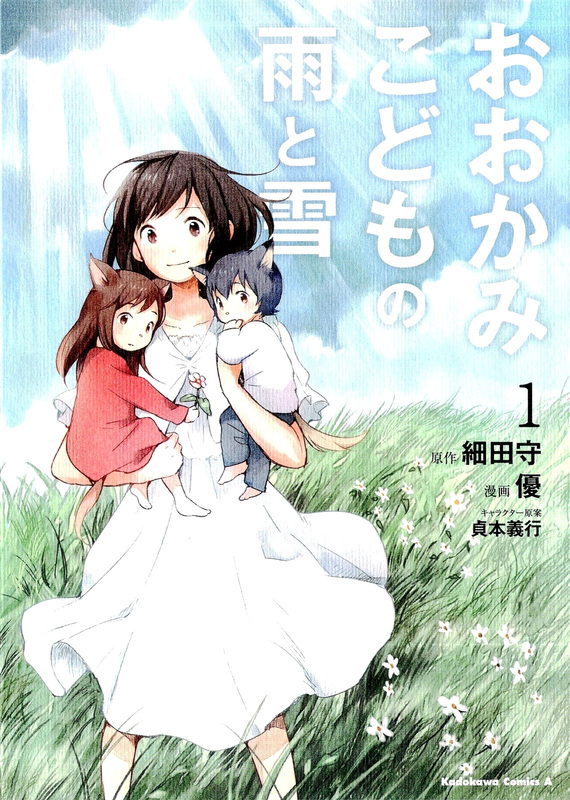 Ushio is the more well-known of the two and the story focuses on the mentor/protege relationship that has defined (and sometimes plagued) their marriage. Throughout their relationship Noriko has been relegated as more of an assistant to Ushio and relied upon to fulfill more domestic duties than artistic pursuits, despite the fact that she is very talented and capable of passing Ushio in notability. ‘Blackfish’ takes a look at killer whales in captivity and the consequences of their confinement, especially at Sea World locations. The documentary focuses on Tilikum, a male killer whale who has been responsible for the deaths of three people, including his trainer. Pretty depressing and eye opening stuff. ’56 UP’ is another entry into the always mesmerizing (even despite the rather bland, innocuous appearance of the subject matter) 7 UP documentary series, which has followed a group of children from England every seven years since they were seven years old. On their fifty sixth birthdays, the failures and successes of each participant are really magnified as they have seemingly breached the walls of “it’s not too late” territory. 9. Pacific Rim – Robots. Explosions. Ron Pearlman. Charlie Day. Idris Elba. Guillermo Del Toro. It has all the proper load-bearing elements of a good summer movie. Is it a perfect movie? No. But in all honesty, I have a soft spot for Guillermo Del Toro. I tend to like him as a person more than his movies and as a result want to like his movies more because of the person that he is. He is a cinema purist (in a good way) and his enthusiasm and breadth of cinematic knowledge seem to wear off on those he works with. I really like watching his featurettes and commentaries and even own the published copy of his diary that released this Christmas. But outside of ‘Pan’s Labyrinth‘ (which I think is a masterpiece) and probably ‘The Devil’s Backbone‘ (which is very solid from what I remember of it), I don’t know if I’ve ever liked his work as much as I wanted to. 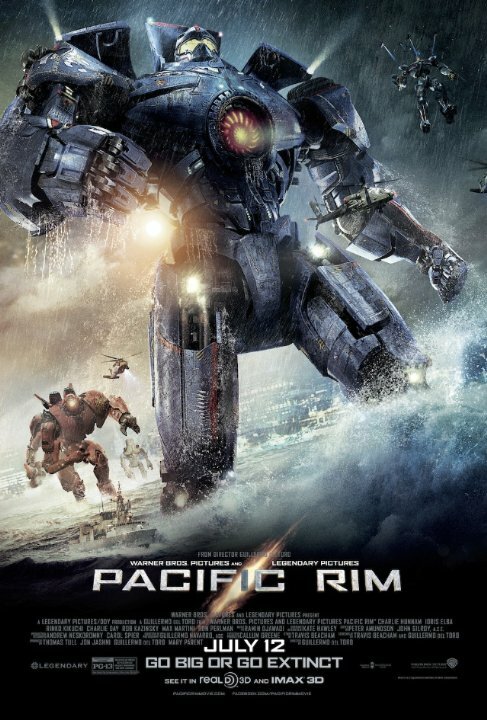 That being said, ‘Pacific Rim’ is fun if you can switch your brain off and ignore a myriad of problems that parade across the screen. Let’s be honest though, it still has smarter scientists than ‘Prometheus’ and Idris Elba cancelling the apocalypse will always be worth the price of admission in my book. 10. 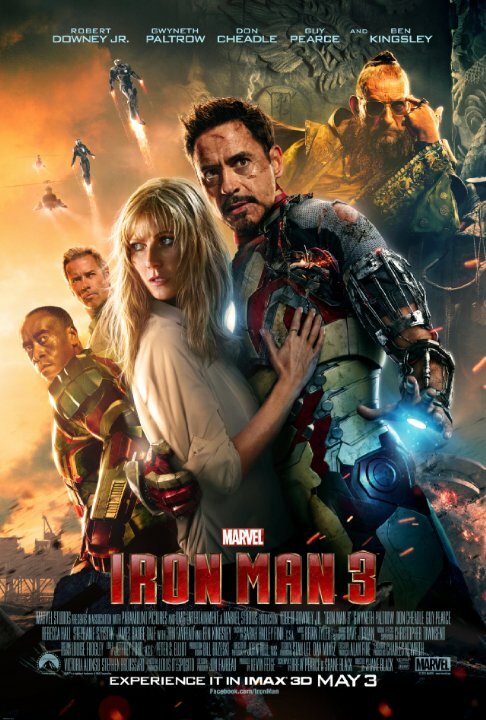 Iron Man 3 – A good portion of ‘Iron Man 3’ is just Robert Downey Jr. antagonizing a small child, but hey, that’s why we go to the movies, right? But that forty minute stretch of bad parenting is still funny and sweet in a weird irresponsible this would never work in real life way that Shane Black’s screenplays are known for. Black always seems to have a flippant element in his writing that almost borders on improvisational glee and I won’t ever criticize that type of enthusiasm in film. ‘Iron Man 3’ is occasionally rough around the edges, but still worth seeing. I mean, Guy Pearce breathes fire in this movie. Why would you not want to see that? 11. Upstream Color – ‘Upstream Color’ will eventually creep up this list as I see it a few more times, but for now I’m still in the initial “too much to process having only seen it once” stage that also occurred with Shane Curruth’s previous effort, the cult favorite time travel yarn ‘Primer.’ Either way, Carruth’s abilities as a director have significantly improved since his last effort and so have the technical aspects of the film. As a result, he has crafted a really good looking bit of confusing, labyrinthine cinema. Certainly not for everyone, but if you liked ‘Primer’, I’d say give it a shot. 12. 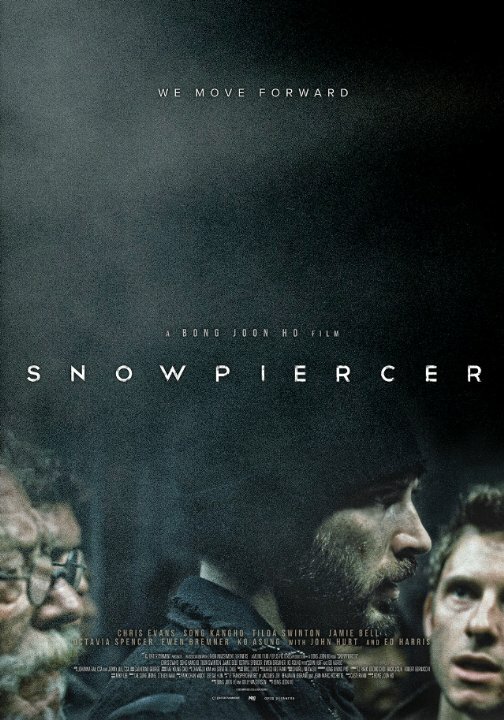 Snowpiercer – All right, so I haven’t actually seen ‘Snowpiercer’, which, sure, tends to cut down on your ability to have an opinion on it, but I know that whenever the Weinsteins finally overcome the belief that Americans are incapable of processing movies without voiceover or subtlety and actually release this movie stateside, it will be worth the wait. Boasting one of the best directors in the world in Joon-ho Bong (who is making his English language debut with this film) and a cast featuring the indomitable Tilda Swinton, Captain America and the always reliable Song Kang-ho, there is a lot of promise here. This is a clear #1 on my Most Anticipated Movies of 2014 list. Honorable Mention: The Grandmaster, The Conjuring, The Way Way Back, Drug War, Europa Report, Ender’s Game, The Hunt, Star Trek Into Darkness, This is the End, The Place Beyond The Pines, The Tower, Kon-Tiki, The Secret Life of Walter Mitty, Mud, World War Z, Riddick, Captain Phillips, 42, The Wolverine. *Haven’t Seen Yet But Will Eventually See And Consider: The Act of Killing, 12 Years A Slave, Leviathan, Rush, At Berkley, Fruitvale Station, Inside Llewyn Davis, American Hustle, In A World…, The Wolf of Wall Street, Anchorman: The Legend Continues, All is Lost, Nebraska, A Touch of Sin, Blue is the Warmest Color, Flu, Filth, Short Term 12, Ain’t Them Bodies Saints, Room 237, Her, Before Midnight, Spring Breakers, The Spectacular Now, Out of the Furnace, The Selfish Giant, Much Ado About Nothing, The Book Thief, Computer Chess, You’re Next. Recognition Purely Based On Their Performance: Mads Mikkelsen in The Hunt, Greta Gerwig in Frances Ha, Nick Frost in The World’s End, Tony Leung in The Grandmaster, Mia Wasikowska in Stoker, Hugh Jackman in Prisoners, Jake Gyllenhaal in Prisoners, Sam Rockwell in The Way Way Back, Kyung-gu Sol in The Tower, Tye Sheridan in Mud, Martin Freeman in The Hobbit: The Desolation of Smaug, Idris Elba in Pacific Rim, Chadwick Boseman in 42, Tatiana Maslany in Orphan Black (it’s TV, but we’ll make an exception), Harrison Ford yelling at children in Ender’s Game. Just Terrible: (As I’ve said before, I’m not big on bashing things, but once a year, I can pick one out and swing for the fences) New Die Hard. You are the worst. Why do you exist? You have destroyed the legacy of John McClane, Hans Gruber and Nakatomi Plaza Christmas parties. You seem like a generic action movie that was written for Bruce Willis and then plugged around the Die Hard franchise at the last second when executives realized the movie was terrible. Also, unless I missed something in this movie (I zoned out quite frequently during the 98 minute runtime, so it’s possible), Bruce Willis is immune to radiation? Who wrote this screenplay? 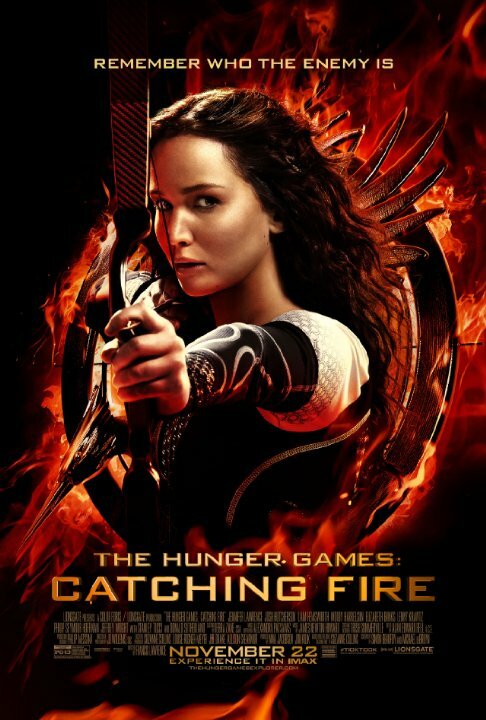 Movies I’m Looking Forward To In 2014: Snowpiercer, Edge of Tomorrow, The Wind Rises, The Hunger Games: Mockingjay – Part 1, Gone Girl, The Grand Budapest Hotel, Veronica Mars, Godzilla, Million Dollar Arm, Guardians of the Galaxy, The Giver, Interstellar, Dawn of the Planet of the Apes, Captain America: The Winter Soldier, X-Men: Days of Future Past, The Hobbit: There and Back Again, 22 Jump Street, Transcendence, The Monuments Men, Jupiter Ascending, Dumb and Dumber To, Sabotage (only because of Mireille Enos), Robocop (only because of Joel Kinnaman and Gary Oldman/Michael Keaton). 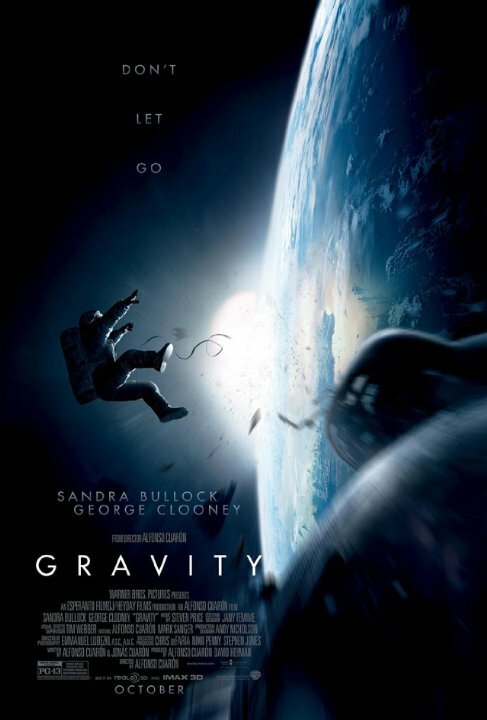 This entry was tagged Best Movies of 2013, Best of 2013, Gravity, Mireille Enos, Most Anticipated Movies of 2014, Snowpiercer, Wolf Children.